» 2:49 AM 4/23/2019 – Germany’s search for a new diplomatic map Financial Times: The core ideas that have sustained foreign policy for decades are under attack from rising nationalism. Michael_Novakhov shared this story from Eastern Europe – Metro. Michael_Novakhov shared this story from Reuters: Top News. The Easter Sunday bomb attacks in Sri Lanka were carried out with the help of an international network, cabinet spokesman Rajitha Senaratne said on Monday. » The FBI and some Police Departments still practice the COINTELPRO. And this is the crime. And they should and will be punished for it. Please, pay attention to this issue, our Congressional Democrats! Michael_Novakhov shared this story from MichaelNovakhov on Twitter. 7:13 AM 4/20/2019 – Multi Layered approach to Intelligence and Counterintelligence | ‘The FBI Appears to Be Engaged in a Modern-Day Version of COINTELPRO’ fbinewsreview…. » Speak the Truth to Power, not the sanitized versions of it. » And much more is yet to come. » I do support Mr. Barr’s intent to investigate the FBI and the other related agencies. And needless to say, it has to be bipartisan, non-political, absolutely objective, and in depth. » After I posted this tirade, the stupid FBI panicked and blocked my websites. Thank you, the Great American Democracy and the Great American Freedom of Speech! Thank you Obama, and the rest of you! Michael_Novakhov shared this story from Google Alert – erik prince. Despite not being a member of the Trump Administration, Blackwater founder, Erik Prince , was frequently referenced in the Mueller Report. About 10 percent of the special counsel’s 448-page report is blacked out. A bird’s-eye view of the report reveals the pattern of redactions. More is kept secret in the first volume of the report, which covers Russian interference in the 2016 election, than in the second, which covers possible obstruction of justice. The report by the special counsel, Robert S. Mueller III, was released to the public on Thursday. Its redactions, made by the Justice Department, fall into four categories. They are labeled in the document using color-coded text, with categories indicating the reason for the redactions. 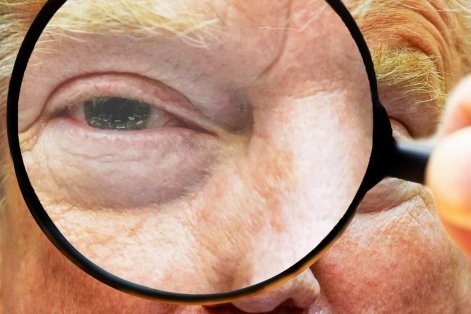 A majority of the redactions, about 69 percent in total, were made because the material related to ongoing investigations. Each line represents a page of the report that included redactions. Darker lines represent more redactions on a page. 18 percent of the redactions were based on legal rules that generally forbid the disclosure of grand jury material. 8 percent of the redactions were related to classified information that intelligence officials feared could compromise sensitive sources and methods. 5 percent of the redactions were made because the material infringed on personal privacy. The heavily redacted parts of the report cover a range of topics, shown below. One of the lengthiest is a 22-page section on 1Russia’s social media campaign to influence the 2016 election. A 12-page portion covers the June 2016 4meeting at Trump Tower between members of the Trump campaign and a group of Russians who promised politically damaging material about Hillary Clinton. These portions mostly cite ongoing investigations as a reason for redaction, implying further loose ends. Democrats have expressed distrust over any attempt to filter their view of the special counsel’s report. Representative Jerrold Nadler, Democrat of New York and the chairman of the House Judiciary Committee, said he would issue a subpoena as soon as possible to try to compel the Justice Department to hand over an unredacted version of the report. 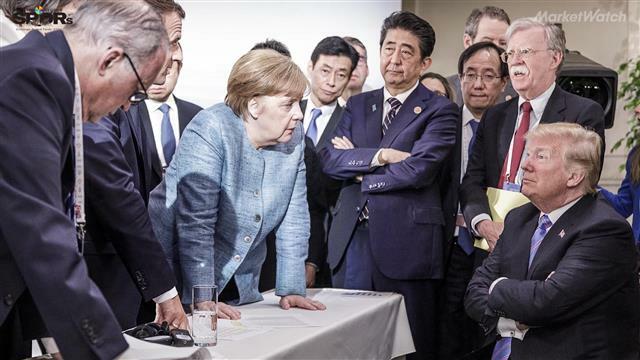 2:49 AM 4/23/2019 – Germany’s search for a new diplomatic map Financial Times: The core ideas that have sustained foreign policy for decades are under attack from rising nationalism. The core ideas that have sustained foreign policy for decades are under attack from rising nationalism. Razed to the ground by the Wehrmacht in 1944, Warsaw has never been easy terrain for the foreign minister of Germany. As his convoy speeds through the Polish capital, Heiko Maas passes first the Soviet army war cemetery and then the memorial to the victims of the Warsaw uprising — potent reminders of the bloody price that German aggression has inflicted on Europe. At a press conference the next day, the foreign minister is asked about new Polish claims for war reparations. At a public debate an hour later, Mr Maas listens politely as his Polish counterpart lashes out at Berlin’s liberal refugee policy. On both occasions, he decides not to respond. Being in charge of German foreign policy is a tough assignment these days — not just in Warsaw but in countries around the world. Over the past few years, Berlin has watched with growing despair as friends have turned into foes and old certainties have dissolved into doubt. 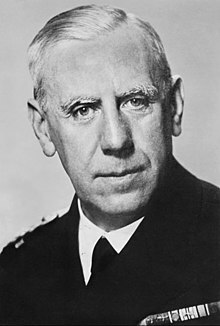 A new breed of nationalist leader holds sway in capitals from Budapest and Warsaw to Rome and Washington, sounding a note of hostility and antagonism towards Berlin. For reasons both economic and political, Germany’s relationships with key powers such as China, Russia and Turkey are marked by growing tensions. At the same time, the dense web of alliances that has characterised German foreign policy for decades — and that underpinned the country’s postwar success — is under strain as never before: Nato has descended into bitter recriminations over burden-sharing, leading many Germans to wonder how much longer the US will remain committed to the defence of Europe. The EU itself, meanwhile, is riven by splits between north and south and east and west, and exhausted from the never-ending struggle over Brexit. The UK no longer counts as a reliable ally, and the relationship with France is going through a phase of barely-concealed irritation. One by one, the fixed stars that have guided German foreign policy for generations have started to dim. Mr Maas admits that the challenges for German foreign policy are both numerous and complex — from Chinese attempts to split the EU and Russian intervention in eastern Europe to the conflicts in Syria, Libya and Yemen. None, however, looms larger than the deepening rift with the US, the guarantor of German security since 1945. Few analysts would disagree with that assessment. Yet many doubt that the implications have truly sunk in with German leaders and voters. Critics point to a paradox at the heart of German diplomacy. Since the early days of the federal republic, Berlin has sought to pursue the country’s economic and political interests almost exclusively within multilateral and supranational organisations. For obvious historical reasons, few countries in the west have been more reluctant to go it alone — or to wield the blunt force of power politics. Yet at the precise moment when those organisations are under attack from nationalist politicians, Berlin is doing little to shore up those structures. Indeed, some believe that recent German policies have done more harm than good to bodies such as Nato and the EU. Berlin’s support for the controversial Nord Stream 2 gas pipeline between Russia and Germany — against furious opposition from the EU, the US and eastern European government such as Ukraine and Poland — is a case in point. German reluctance to take bold measures to shore up the eurozone, despite intense pleas from Paris and Brussels, is another. Perhaps the clearest example of the gap between rhetoric and reality, however, is found in the increasingly shrill debate between Berlin and the US over defence expenditure. In 2014, all Nato members committed to spending at least 2 per cent of their gross domestic product on the military. In Germany, that figure is currently 1.24 per cent. Nor is it likely to rise to anywhere near 2 per cent in the coming years. Berlin has promised to lift the defence budget to 1.5 per cent of GDP by 2024, yet even that figure may be out of reach judging by the finance ministry’s official medium-term spending plans. Mr Maas says Germany will deliver in the end, but President Trump is far from alone in viewing the country’s defence budget as risible. Berlin’s reluctance to take on more responsibility in international and military affairs is essentially seen by critics as the result of stinginess. Germany, in their view, refuses to meet the 2 per cent Nato commitment because spending more on defence leaves less money for balanced budgets and the welfare state. Germany’s postwar success also looms large in a recent essay by Thomas Bagger, a German diplomat who serves as foreign policy adviser to federal president Frank-Walter Steinmeier. It argues that Germany’s historical experience — specifically reunification in 1989 — left the country uniquely ill-equipped for the resurgence of nationalist politics. The end of the cold war and the triumph of reunification meant that “Germany finally found itself on the right side [of history]”, Mr Bagger writes. The conclusion reached by many Germans was that history was “bending towards liberal democracy” and that their country had “arrived at its historical destination”. All they had to do was to wait for the rest of the world — including authoritarian states like Russia and China — to follow suit. When that hope failed to materialise — and even European allies started drifting towards rightwing authoritarianism — Germany was left stranded. “While others can go back to their respective Gaullist traditions of foreign policy thinking, with a more or less clear set of defined national interests that do not depend on integration with others, there is little of that in Germany . . . Multilateralism is all there is in the German mainstream today,” Mr Bagger wrote. That is one reason why it is so hard for the country to adjust to the current era. Another is that Germans feel threatened by all manner of things — climate change, social tensions, economic instability — but much less so by powers such as Russia and China. One recent poll found that Germans in fact view the US as a greater threat to world peace than either of those countries. The absence of a genuine threat perception applies to large sections of Mr Maas’s own party, the centre-left Social Democrats (SPD). It has called into question the 2 per cent Nato target and taken a tough line on European defence exports, angering France and Britain. But critics also point an accusatory finger at Angela Merkel, Germany’s veteran chancellor, now in the twilight phase of her political career. Ms Merkel, one senior Berlin-based official complains, is only in “damage-limitation mode” these days — unable or unwilling to make a decisive case for a more active German stance in world affairs. While French President Emmanuel Macron has repeatedly outlined his vision for the future of the EU in speeches and papers, the German leader has been largely silent. Nor has Ms Merkel made a sustained effort to convince German voters that the country’s life on the sidelines of world politics has to come to an end. German officials insist that much of the criticism is unfair. The defence budget may be low by international standards, they say, but it has risen sharply in recent years. Since Russian forces invaded Crimea in 2014, annual spending on the armed forces has grown by a third to €43.2bn. What is more, unlike some Nato allies who meet the 2 per cent threshold on paper, Germany actually adds military muscle to the alliance, as evidenced by the Bundeswehr’s increasingly ambitious deployments around the world. International leadership, German officials say, is reflected not just in the size of the defence budget but also in diplomatic initiatives, peace and stabilisation efforts, financial support for multilateral organisations and a readiness to take in refugees from crisis countries such as Syria and Afghanistan. They insist that once these softer factors are considered, Berlin’s leadership record looks more impressive. That may indeed be the wish of German voters — and quite a few politicians as well. They grew up in a world where American power and Nato kept Germany safe, and the country’s national interests were expressed — almost imperceptibly — through the EU and like-minded international organisations. 1:18 AM 4/23/2019 – Analyze ZIZ! 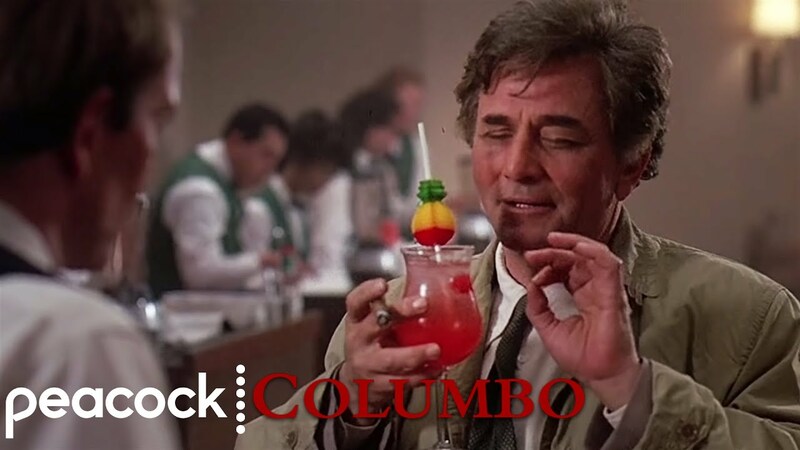 Solve this, Columbo – Columbus: the New Abwehr’s old tricks: to incite the religious wars, like these attacks in Colombo, New Zealand, and other places around the world; in addition to the US – Russia tensions. And the Columbo crime family, as the part of the larger New Abwehr – Mob Group, is the part of this equation. – M.N. Solve this, Columbo – Columbus: the New Abwehr’s old tricks: to incite the religious wars, like these attacks in Colombo, New Zealand, and other places around the world; in addition to the US – Russia tensions. And the Columbo crime family, as the part of the larger New Abwehr – Mob Group, is the part of this equation. – M.N. The Colombo crime family (pronounced [koˈlombo]) is the youngest of the “Five Families” that dominates organized crime activities in New York City, United States, within the nationwide criminal organization known as the Mafia (or Cosa Nostra). Archbishop of Colombo His Eminence Malcolm Cardinal Ranjith expressed his deep displeasure and concerns over not acting immediately over the reports of possible terror attacks. Addressing a press conference at Archbishop’s House, Borella yesterday, he urged the Government to strengthen the country’s intelligence apparatus and Security Forces. He lamented that the Easter Sunday attacks could have been avoided had the Government dealt with the prior information seriously and directly without consuming time to pass letters to one another. He also made a special request from all followers of Christianity to act with restraint and not to harm any person of any other religious faith. “We were shocked by the trail of unfortunate incidents on Sunday. It was like a lightning strike. Ten years ago, such attacks were common and people of all religious faiths had suffered. It was reported that threats have been posed against the Muslim community following the incident. We hardly know who is behind this incident. What we see could be the tip of an ice berg. I request that peace and harmony be maintained and the funeral rites and burials be performed in a peaceful manner,” he said. “The law must be implemented immediately to bring the culprits to book. No ordinary person should be allowed to take the law into their own hands. We were shocked to hear media reports that there had been prior information on the attacks. The Prime Minister and a Cabinet Minister confirmed such reports. It is questionable as to why immediate action was not taken. The Government should have taken a subtle approach coupled with latest technology to counter this kind of acts of sabotage. That is a responsibility of the Government,” the Archbishop remarked. “If a father of a Minister had been known any information with regard to a possible attack, at least that minister had a responsibility to warn the people. When I got to know the incident, I immediately instructed all churches to stop Holy Mass and send people home. I am going through great pain of mind and question as to why they let this happen to us,” he complained with grief. Methodist Church of Sri Lanka President Bishop Rev. Asiri Perera said that this type of large scale attacks could have been avoided if the Government was more serious in implementing the law on small incidents. Recalling his unpleasant experience on the Palm Sunday attack on the Anuradhapura Methodist Centre, Rev. Perera complained that no culprit was apprehended by Police till the matter was brought up with the IGP by the Prime Minister. “We request the Government and Opposition to ensure the security of the people and take all measures to prevent this type of incidents in the future. I also received calls from several Muslim persons complaining that they live in fear due to social media messages spreading lately. I request all Sri Lankans not to harass any Muslim person,” he said. Chief Prelate of Kotte Ven. Dr. Ittapana Dhammalankara Thera, Anunayake of the Kotte Sri Kalyani Samagri Maha Sanga Sabha Ven. Prof. Kotapitiye Rahula Thera, Mahabodhi Society of Sri Lanka President Ven. Banagala Upatissa Thera and Ven. Panamure Chandrananda Thera, speaking at the press conference organized by multi-religious leaders, expressed their solidarity with the Christian Community and all those who lost their loved ones during the terror attacks. “We do not have major racial clashes in this country. We need to build a Sri Lankan identity integrating all communities. All ethnic and religious communities, while retaining their tenets, must adopt to a Sri Lankan culture,” said Ven. Kotapitiye Rahula Thera. Mawlavi Sheikh M. Arkam Nooramith, responding to a question by a journalist, said that Islamic organisations had always been cooperating with the Security Forces to curb ISIS operations in Sri Lanka. Member of Congress of Religions and Constitutional Council Javid Yusuf stressed the need to immediately establish rule of law and stop the spread of hate speech. Vatican Representative in Sri Lanka (Apostolic Nuncio) Dr. Pierre Nguyen Van Tot meeting with Archbishop of Colombo Malcolm Cardinal Ranjith yesterday expressed his condolences on the Easter Sunday terror attacks. Speaking to the media at Archbishop’s House, Borella after the meeting, he said, “I present my deepest condolences to the whole nation for yesterday’s violent act. My prayers are for the victims and peace in this nice country. Happy to see all religious leaders have got together at this difficult time. If you work together, you can soon restore peace in the country”. (CNN) The calm of Easter Sunday was shattered by gruesome bombings that killed at least 290 people in Sri Lankan churches and hotels. Democrats are debating if there is enough information in the Mueller report to begin impeachment proceedings against President Trump. Meanwhile, Mr. Trump’s attorney said it was not against the law to receive information from Russia during the 2016 campaign. CBS News White House correspondent Paula Reid joined CBSN to break down the latest. WASHINGTON (AP) — The Supreme Court will decide whether the main federal civil rights law that prohibits employment discrimination applies to LGBT people. Michael Novakhov – SharedNewsLinks℠: fbinewsreview.blogspot.com For communications, please use the contact form on this page or my other blogs. For communications, please use the contact form on this page or my other blogs. from “trump in financial times” – Google News.